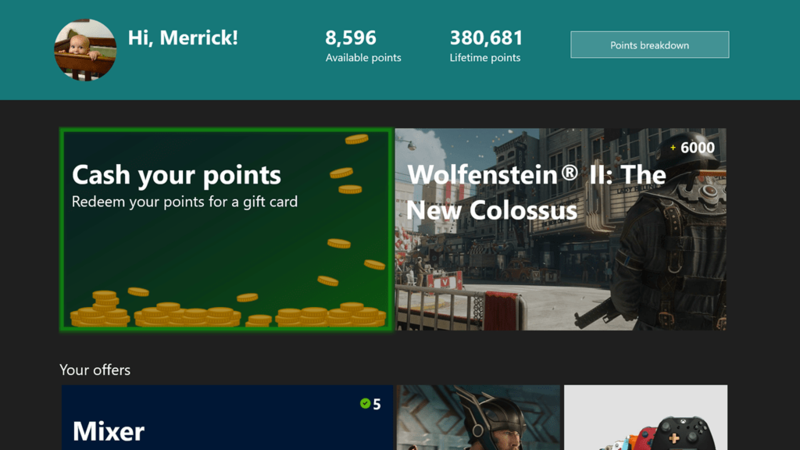 What I wasn’t prepared for was a solid replacement of the program.Xbox Live Rewards is not really going away, but merging into the existing Microsoft Rewards program. 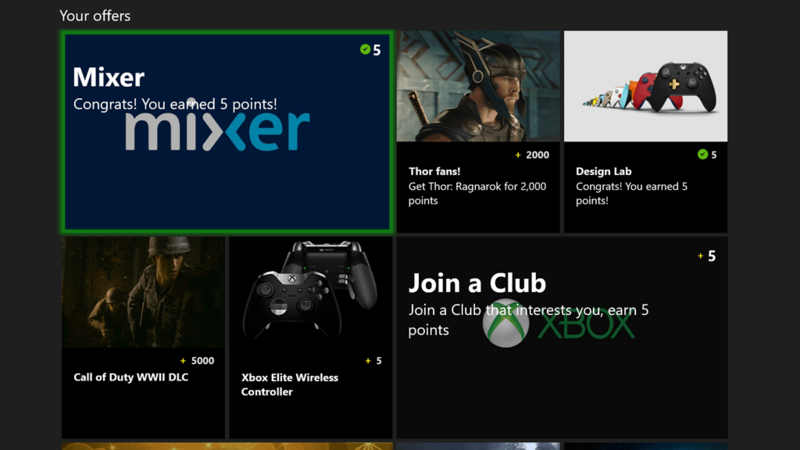 Xbox Live Rewards has been around for more than a decade, giving a little bit back for doing things you were already doing: buying and playing video games. The program had monthly missions to earn rewards of varying degrees from in game content to currency credit applied to your Microsoft Account, but the scope of the program was singularly focused on Xbox in actions and rewards. 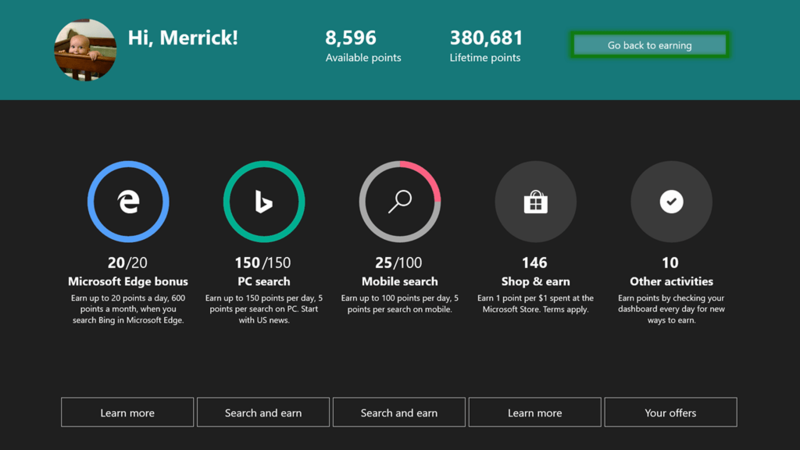 With the transition to Microsoft Rewards, the program really opens up. It still has the same missions and earning methods that Xbox Live Rewards had, but now you have many more options when it comes to cashing out. You can still liquidate your points into currency credit, but now you also have the options to redeem your points for gift cards to popular stores and restaurants, enter sweepstakes, or even donate your points to a wide variety of charities. So despite the service being sunset, it’s really being reborn within a stronger more diverse service. 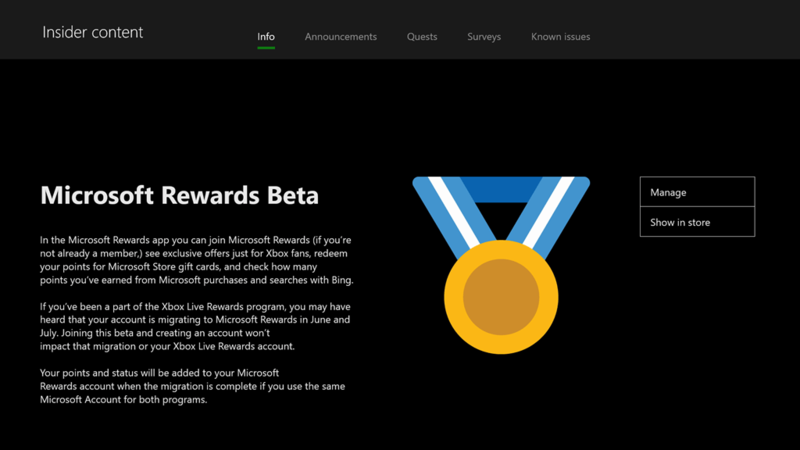 Along with this transition, they have recently released a Microsoft Rewards app beta for the Xbox One to the Xbox Insiders program. It has a nice Fluent design presentation we are used to seeing on the Xbox One with a tile layout covering the available offerings. 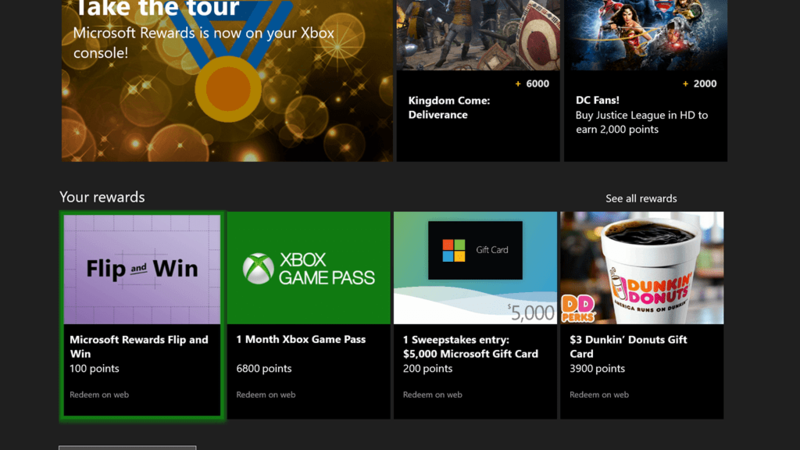 They show what offers are up, how many Microsoft Reward credits it’s worth to review or execute on. The actions vary from simply clicking and checking out a feature they want to highlight to earning a lot more points for buying or pre-ordering games. They also present some links to redeem those points for rewards on your console through the Edge browser, as well as a breakdown of all the Rewards points you can earn on a daily basis. All in all, this is one of the few times Microsoft has shut down a service that I was active in where I am actually thankful, because I think the end result is going to be an overall better experience for everyone. Previous Previous post: Conversation Piece: Microsoft + Music – An emotional roller coaster! Next Next post: The Fitbit Diaries: Getting back into the swing of sweat.